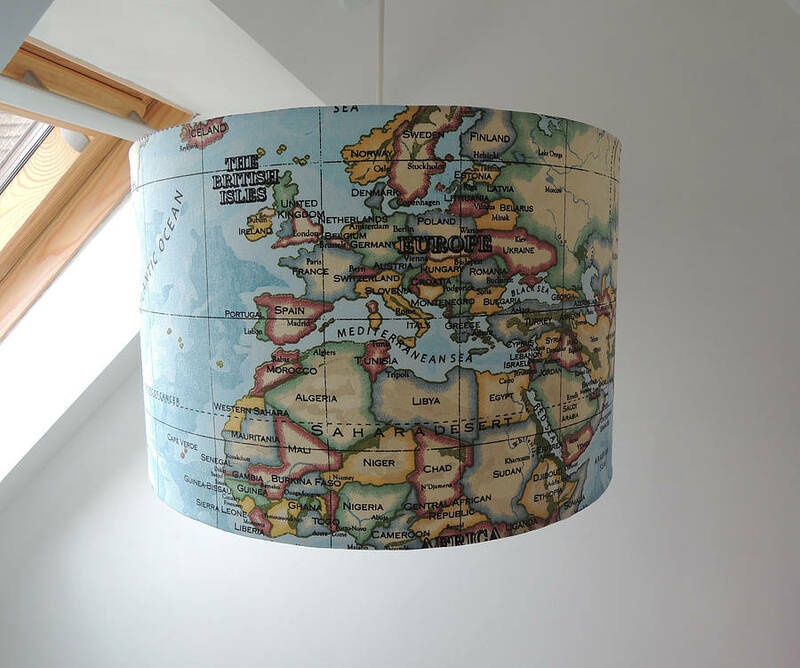 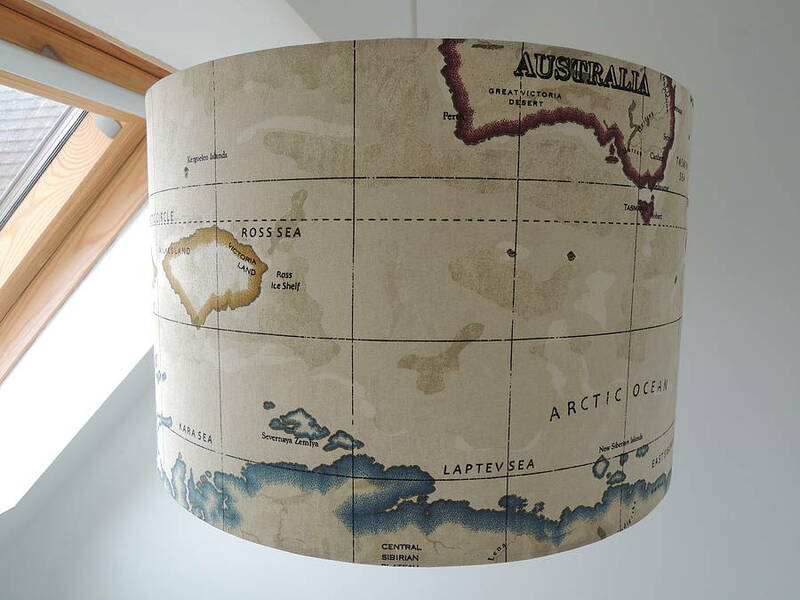 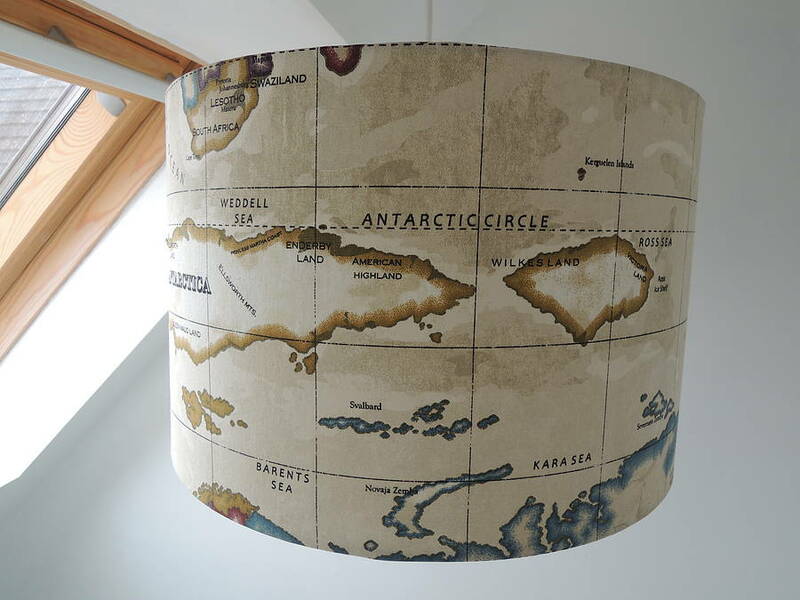 Large drum lampshade handmade to order in this fantastic, en trend, but forever classic World Map fabric, in a stunning blue- azure or vintage antique colour. 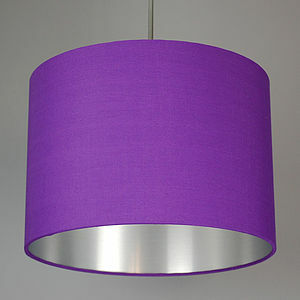 All shades are made with fire retardant pvc and with fittings suitable for a UK or larger European light. 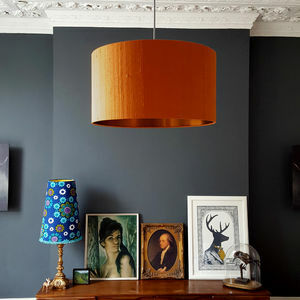 Colours- Azure (blue) or Antique. 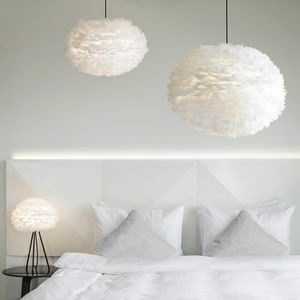 Ceiling or table lamp fitting. 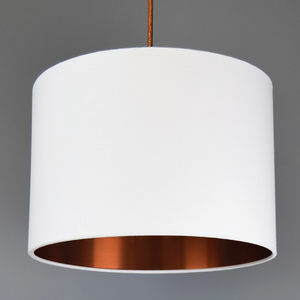 All shades are made with a UK fitting, larger European fittings available on request.